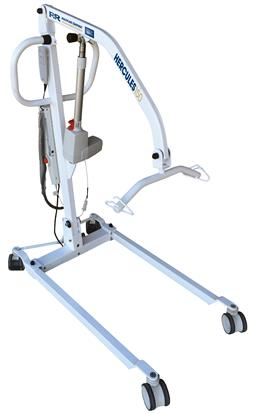 Electric or manual leg operation option. Multiple push positions on push handle. Folding mast for easy transport.